Or one can see it in the inner city in places like Cleveland, where black churches have remained – sometimes two or three to a block – even as the middle class and many businesses and predominantly white congregations moved away. Now science is providing greater insight. Several new studies build on past research in revealing how this special faith continues to be associated with positive outcomes for black Americans amid the realities of discrimination and economic, political and social inequality. In one study of black adults, neither education nor income predicted a sense of optimism, a hopeful attitude about the future linked to better physical and mental health and lower mortality rates. What mattered most was belief in a loving, merciful God. “It appears that the sense that one is loved and uplifted by God and the belief that one has received God’s forgiveness work in tandem” to promote hope as a critical and central theme in the faith of African Americans, researchers said. In a special issue, the Race and Social Problems journal showcases new research on race and religion. These studies are among several recent works that generally indicate positive outcomes of religious involvement for black Americans. 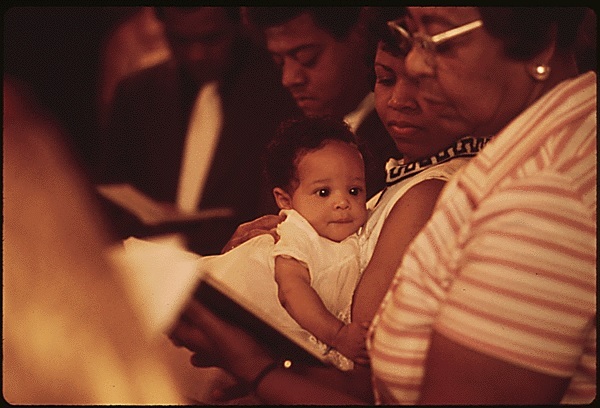 Having each other’s back: Seven in 10 blacks who attended services at least once a year reported both giving support to congregation members and receiving support from them, according to research analyzing data from the National Survey of American Life. Feeling close to congregation members and having frequent contact with them predicted greater reciprocal support. A separate study also found that church members appear to be “significant sources of informal social support for African Americans.” The most frequent form of assistance was care during illness, followed by meeting transportation needs, financial assistance and help with chores. Overcoming discrimination: Black adolescents who experience discrimination are more likely to show signs of poorer mental health. But having church members listen to their concerns and make them feel loved and cared for was associated with a reduced risk of psychiatric disorders among black youth, one study found. Racism and alcohol use: There is a paradox in black alcohol use. Blacks, in general, are less likely to use alcohol than whites. But people who have experienced greater discrimination are more likely to be problem drinkers, according to research analyzing data from the National Survey of Black Workers. Religion was found to be a protective factor that appeared to help reduce the strong relationship between discrimination and problem drinking. Not all aspects of religion have positive outcomes for black believers. Researchers in the study finding a connection between optimism and belief in a loving God expressed concerns about the potential damaging effects of religious messages that promote images of a punishing, judgmental God. Faith-based interventions could do more psychological harm to individuals who feel that they are outside God’s grace and forgiveness, they noted. And there are concerns blacks may be more likely to delay seeking medical attention by ceding too much responsibility to God for their health needs. In a University of Chicago study of urban cancer patients, 61 percent of black participants said God was in control of their cancer; just 29 percent of whites agreed with the statement. Many researchers call for increased cooperation among religious and health communities and others such as secular service agencies to both take advantages of the remarkable strengths of black faith and address potential areas of concern. • Take an active role in addressing the issues. • Educate themselves and their congregations. • Establish relationships with mental health professionals. The findings appear particularly relevant in this time of increasing racial tensions. And black Americans are hardly alone in facing challenges today. Muslims and Hispanic immigrants are enduring historic periods of nativist prejudice. Non-Hispanic whites, like many others, are trying to rebuild lives shattered by technological and economic forces that are limiting opportunities for decent paying jobs in fields such as manufacturing. 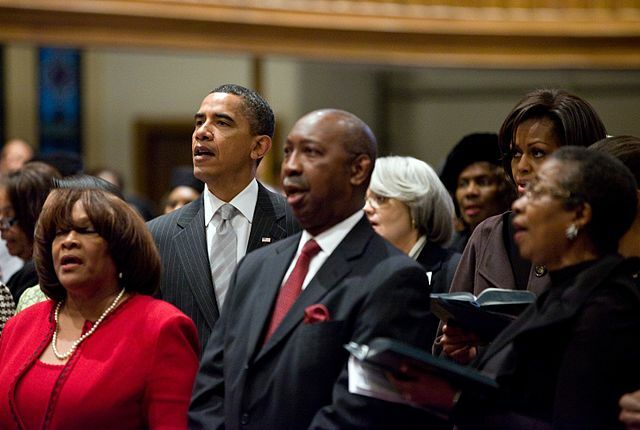 Now, as much as ever, it would seem Americans of all beliefs could benefit from what research reveals about how black faith and the black church have been sources of enduring hope and strength in troubled times. I am an African American Roman Catholic who is a member of a majority white denomination and parish so the protective and supportive benefits do not directly accrue to me. I vicariously avail myself of some of those benefits by carrying my people in my heart wherever I am. Also, I do what my ancestors in the African diaspora have always done. I insert myself into the truth of the real gospel of Jesus Christ; not the twisted, degraded version of it crafted to justify and perpetuate white supremacy. The same benefits of religiosity in general have similar effects in my life , however, since white supremacy and racism is structural, systemic, and largely denied in the west and particularly so in American (North, South, Central) Roman Catholicism the safety, support, and empathetic bonding accessible to members of black churches have to be consciously located in and received directly from my loving and caring God. But for this fact, I could not deal with my present extremely difficult circumstances. By “dealing with” I do not mean surviving. I mean living an overall victorious life where daily I come to know more and more who I am in God’s eyes and operating out of that knowing to, with God’s grace, discern his will for me and the world and carry it out as well as I can. Research in this area would be very helpful and by the way, I live in the South which makes the whole enterprise doubly challenging and the rewards even greater, sweeter, and more profound.